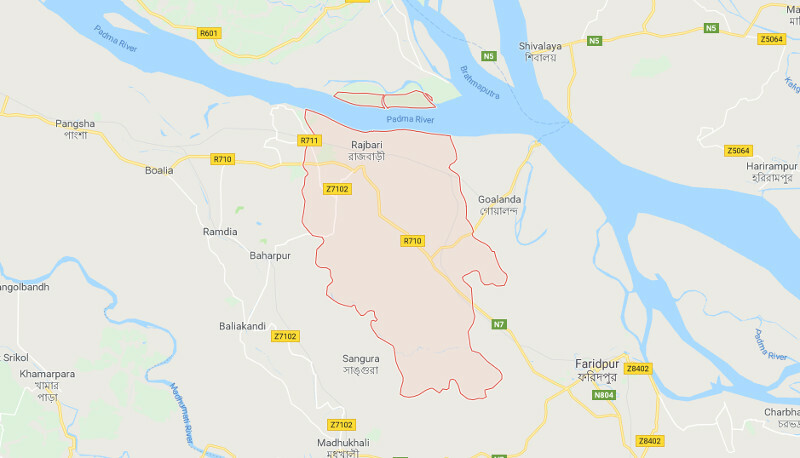 A suspected member of an outlawed party was killed in a ‘gunfight’ between his cohorts and detectives at Jakura Balurghat in saddar upazila in Rajbari district early Tuesday, UNB reports. The deceased was identified as Saidul, 32, local commander of Maoist Bolshevik Reorganisation Movement (MBRM). Rajbari Police Superintendent Asma Siddiqa Mili in a press briefing said tipped-off the law enforcers conducted a drive when the outlaws were holding a clandestine meeting at Jakura Balurghat area around 2:30 am. Sensing presence of police, the outlaws fired gunshot on them forcing them to retaliate, triggering a gunfight, she said. At one stage, Saidul, one of the outlaws, sustained bullet wounds while his cohorts fled the scene. Later, police rescued Saidul from the spot and took him to hospital where doctors declared him dead. Police also recovered a foreign gun, 32 rounds of bullet and 23 cartridges from the spot.